PREVENT, a UK government counter-terrorism strategy that “aims to stop people becoming terrorists or supporting terrorism” focused on British Muslims was first introduced in 2006. Not surprisingly, this strategy ended up “being used to gather intelligence about innocent people who are not suspected of involvement in terrorism” and increasingly was discredited. But this “voluntary” strategy became law with the Counter-Terrorism and Security Act in February 2015. After July of 2015, this plan required everyone who provides social services including teachers, social workers, doctors, and nurses to have the duty to report suspicious behavior to the authorities. This duty to report “extremist” behavior is very similar to mandated reporter laws in the US where social workers, teachers, nurses, doctors, and psychotherapists must report any signs of physical or sexual abuse to the police or the state family services agency. In the UK’s PREVENT program, signs of “extremism” vaguely include “expressing opposition to fundamental British values such as practicing religious beliefs, the rule of law, and democracy.” Last month, a teenager in Luton was questioned by anti-terrorism police for wearing a “Free Palestine” button to school. Background on the PREVENT program was provided by Lena Mohamed, part of the Advocacy Department of the Islamic Human Rights Commission (IHRC), a research and advocacy organization, that is leading a campaign to fight implementation of the PREVENT program. The IHRC also has consultative status with the UN Economic and Social Council allowing them to present to and hold workshops for the UN Human Rights Council. Mohamed is currently in the US to conduct research on Islamophobia for a IHRC report on the impact of Islamophobia on Muslim communities in the US. In her position with the IHRC, she works with people who have experienced racial or religious discrimination from any government body. (The IHRC is a NGO and not connected with the UK government in any way.) Her main focus is on the education and social work areas where someone might be prevented from praying or wearing religious clothing at school or when children are taken away from Muslim families. She also focuses on the PREVENT program, especially its implementation within the educational system. As a result of the PREVENT program, Mohamed describes a situation where there is a breakdown in relationships between members of the public and those in a position of authority and trust in British society and she has spoke to students in Muslim schools who feel they can’t be honest and open in their classes because of their fear of being targeted. A 16 year old Palestine activist asked his “dinner lady” in school where the food was sourced from – he was trying to see whether any came from Israel or the Occupied Territories. The dinner lady reported him for asking the question and he was interrogated by PREVENT officers about his beliefs. In another case, a 14 year old in French class brought up the issue about eco-terrorism in the class discussion about the environment and he was also reported and questioned about his thoughts on ISIS. In a class writing assignment, a 7 year old meant to say that his family lived in a “terraced” house but wrote “terrorist” instead so his whole family was interrogated. The US case most similar to these situations would be that of 14 year old Ahmed Mohamed who was arrested for bringing a homemade clock to school. It was the school’s English teacher who reported him to the authorities for being suspicious. He was also interrogated by the police without his parents being present and sent to a juvenile detention facility. Ahmed Mohamed ended up moving to Qatar for an education scholarship after the incident. Analysts in the UK compared his case to what’s happening to British children because of the PREVENT program saying the counter-terrorism strategy is “demonizing Muslim children.” Counter-terrorism strategy in the US certainly allows for teachers and others to target Muslims for “suspicious behavior” but so far it has not become the law as it has in Britain. Each local council (50 of which around the country have been identified as ‘priority areas’ and at particular risk of fostering ‘extremism’) or government entity has to have a policy that supports the PREVENT program. They must appoint a PREVENT officer and will also have someone on the local police force designed as a PREVENT officer. These individuals and those in schools, universities, hospitals, and other institutions in the area are provided special government training focused on identification of “extremists.” Anyone who is reported for suspicious behavior, including children, will be visited by a PREVENT officer and interrogated. The parents of children are often not informed that their child has been referred to the officer. Figures show there has been an exponential rise in those who have been referred to Channel in the past few years. Between 2006 and 2014 (2014/15 are pending) there have been 3934 referrals. Of these, 777 were assessed to be vulnerable and therefore appropriate for the Channel process. That means 80% of those referred came under scrutiny and suspicion despite there being no evidence that they were at risk of being drawn into terrorism. It is difficult to overstate how this process effects families and communities involved. She also indicated that “one third of those referred to the program are under 18 and often are referred without their parents knowledge.” Those targeted usually don’t ask for a solicitor (lawyer) because of the level of intimidation involved. The earlier versions of PREVENT pressured mosques and Islamic centers in their jurisdiction to take part in the PREVENT program. The current environment in the UK means that many Muslim organizations and those within Muslim communities are deeply concerned about PREVENT, which has meant there is skepticism within mosques when dealing with the government on this matter. But in the UK the Charity Commission that manages all of the charities in the country is also used to put pressure on mosques and Islamic centers to comply. 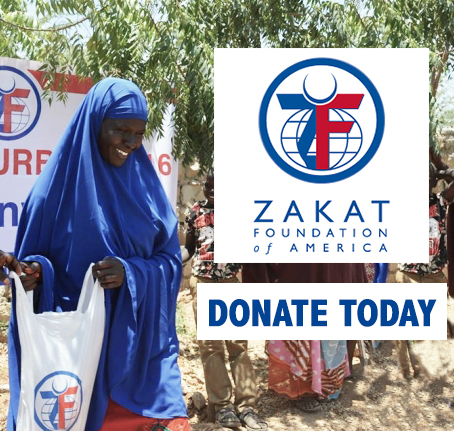 About 90% of these mosques and centers are considered charities. The Charity Commission has stringent rules and regulations that can be used to freeze the assets of the charity or its staff if they don’t comply with programs like PREVENT. The IHRC has joined with many other organizations in the UK to fight the implementation of the program. 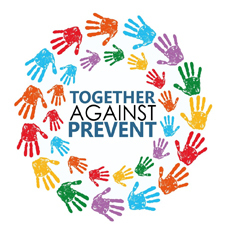 One group is the Scotland Against Criminalizing Communities who is one of the signatories to the coalition Together Against Prevent that calls for member groups to put the coalition logo and a page about resisting the PREVENT program. The IHRC advises its clients that they do not need to speak to the PREVENT officers as they’ve committed no crime and suggests having a lawyer present at any meeting where necessary. The IHRC approach in this case is similar to the advice that US organizations like the National Lawyer’s Guild, Council on American Islamic Relations (CAIR), the ACLU, and others would advise Arabs and Muslims who are approached by the FBI for questioning. 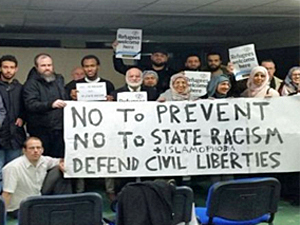 The IHRC is one of the organizations leading the call for all public services to boycott taking part in PREVENT until the legislation is repealed. Many Muslim organizations and trade unions have joined together to boycott implementation of the program. Trade unions such as the Universities and Colleges Union and National Union of Students see PREVENT as a threat to their jobs as teachers and staff can be fired for not turning in their students to PREVENT officers. Mohamed believes the potential for repeal is high given the widespread public sentiment against the program. The IHRC also provides leaflets, workshops, and conferences on the program. The majority of Muslims within the UK are very critical of the program and tend to be generally less cooperative with government counter-terrorism programs than the Muslim communities in the US. Racism is a big part of Islamophobia in the UK as many Muslims are only 2nd and 3rd generations away from being immigrants and refugees from Muslims countries once in the British Empire. 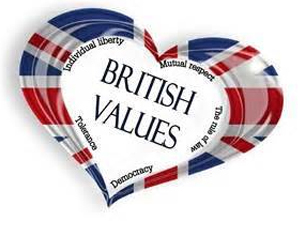 The feelings of nationalism are stronger in the US so the appeal of the PREVENT program to protect “British values” is less compelling. The IHRC research on Islamophobia has been conducted in France, Germany, Canada, and the last time in the US was 2011. 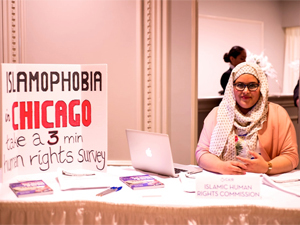 Research is provided to groups who organize against Islamophobia in their country as well as activists, academics, and the media. The IHRC is focused on a campaign against the under-reporting of Islamophobic and hate crimes as well as an understanding of Islamophobia as a structural problem. It believes that Islamophobia facilitates an environment of racism where hate crimes can occur. They also contend that Islamophobia not only has physical effects as when Muslims are attacked, but also has a negative impact on their material, economic and psychological well-being. Muslims based in the Chicagoland area are encouraged to contribute anonymously to this important research by completing a short survey: https://www.surveymonkey.co.uk/r/USAChicago2016. Mohamed explained that the research is not just done to provide data to other organizations and academics, it can also help provide a different perspective when attacks on Muslims occur. After the terrorist attacks in Paris, the IHRC helped provide alternatives for the media when they reported on the backlash against Muslims. These programs, however, are not new. CVE programs have existed for some time, often with dubious results. And while purportedly aimed at rooting out all violent extremism, they have previously focused only on Muslims, stigmatizing them as a suspect community. These programs have further promoted flawed theories of terrorist radicalization which leads to unnecessary fear, discrimination, and unjustified reporting to law enforcement. In February of this year, The Brennan Center for Justice filed a complaint with DHS and the DOJ to obtain records related to the CVE strategy. As part of their complaint, the Center reiterates both the lack of empirical evidence supporting these strategies and their negative impact on civil rights of Arabs and Muslims. Among other things, CVE programs seek to identify individuals who might become terrorists. This effort rests on the empirically disproven premise that there are visible signs that can be used to identify potential terrorists. Multiple empirical studies have concluded that there is no linear path or predictive signs for individuals who become terrorists. 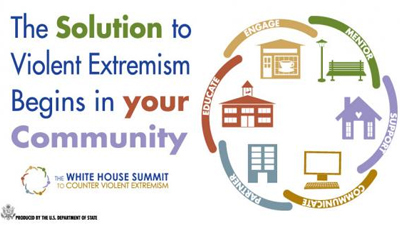 CVE programs nevertheless aim to engage families and communities—including religious leaders, mental healthcare providers, and teachers—in marking young people as potential terrorists; and these warning signs frequently implicate First-Amendment protected speech and political activity as suspicious. High school students are ideal targets for recruitment by violent extremists seeking support for their radical ideologies, foreign fighter networks, or conducting acts of targeted violence within our borders. 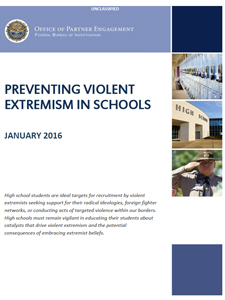 High schools must remain vigilant in educating their students about catalysts that drive violent extremism and the potential consequences of embracing extremist beliefs. Similar to the PREVENT program, the definitions of suspicious behavior are very broad as are the “violent extremists” they refer to. “Animal Rights Extremists and Environmental Extremists,” “white supremacy extremists,” ISIS, and Al Qaeda are all listed as potential terrorist groups focusing on recruiting high school students even though there is no evidence of that happening. But it is very clear who is the real target of this document. All of the photo examples of “extremists” in the document are Arab or Muslims except for one photo of a Nazi SS officer and one of Timothy McVee. The document aims to encourage schools to monitor their students more carefully for signs of radicalization but its definition of radicalization is vague..Drawing on the junk science of radicalization models, the document dangerously blurs the distinction between legitimate ideological expression and violent criminal actions. In practice, schools seeking to implement this document will end up monitoring Muslim students disproportionately…Muslims who access religious or political material will be seen as suspicious, even though there is no reason to think such material indicates a likelihood of terrorism. As Mohamed described the impact of PREVENT on trust relationships in education, one can only imagine what high schools students would think if their “Guidance Counselor,” “Nurse,” or even “Grief Counselor” could report them to the FBI for something they said or did. DHS and the DOJ are very likely closely monitoring the implementation of the PREVENT program within the UK to determine whether local officials, teachers, and other providers of social services to targeted Arab and Muslim communities can be enlisted to become “mandated reporters” of potential “extremists” and key players in the US counter-terrorism strategy. The infrastructure to implement the full version of PREVENT in the US already exists and just waits for DHS to get authorization to turn it on.